A couple days ago, Michael Irvin tweeted a picture of himself with his three Lombardi Trophies, saying he would change the name on them to Belichick if the Pats were able to pull off a win in Foxborough Thursday night with rookie quarterback Jacoby Brissett at the helm. It’s hard to disagree with this course of action. Just to be clear, I already think Bill Belichick is the greatest coach of all-time. But for anyone who disagrees, they’ll no longer have an argument if the Patriots win this game. 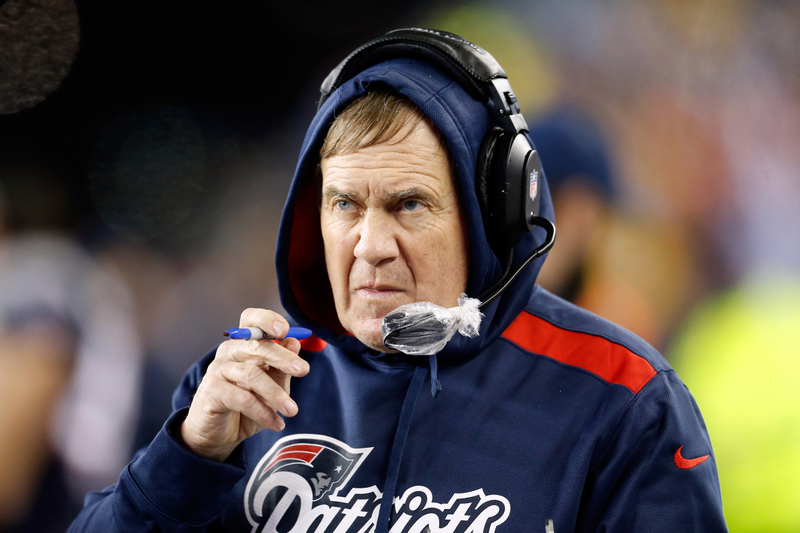 Logic tells us that the 23 year-old Brissett is in way over his head leading up to Thursday night’s match-up against the third ranked defense in the NFL, but Belichick and the Pats have been known to defy logic and this would be one of the most logic-defying moments yet for the genius under the hoodie. Belichick’s list of accomplishments with the Patriots is endless. But the vast majority of them happened with the greatest quarterback on the planet leading the way. It’s been said that the 16-year, four-time champion head coach has aspirations to win a Super Bowl after the Tom Brady era. This would show us that it might actually be possible. Aside from finishing 5-11 with Drew Bledsoe in his first year as Patriots’ head coach, Belichick has been pretty good without Tom so far. Going 11-5 with Matt Cassell in 2008 was impressive, and he’s managed to get the team off to a 2-0 start without TB12 this year. If he and his coaching staff can somehow find a way to overcome JJ Watt and company with a completely inexperienced quarterback under center, I don’t understand how you can say that he isn’t the greatest football mastermind in the history of the world. Go Pats. Previous Can Jimmy Garoppolo Continue To Exceed Expectations Against The Dolphins?